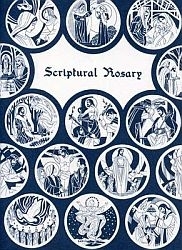 This book provides insight into the history of the rosary, as well as making the rosary structured around relevant scripture. The scripture is written to help enhance the meaning of the Mysteries. This Catholic rosary book will help you to start praying the rosary by making it even more meaningful and alive. The book is small size with a hardcover binding that makes it easy to travel with you wherever you go. A real treasure.